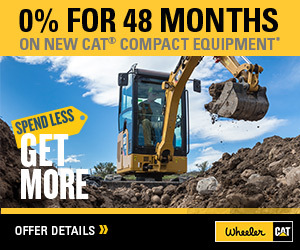 Salina | Wheeler Machinery Co.
Operating since 1951, Wheeler Machinery Co. is your Cat® dealer in Utah with new, used and rental equipment to help you increase your business’s success. We support industries ranging from construction, governmental and agricultural to mining and power generation. We strive to build long-term relationships that extend beyond your purchase as we support your equipment with parts and skilled service technicians. Wheeler’s inventory of new Cat equipment in Salina includes Cat machines, construction tools, attachments, trailers and air conditioners, along with dozens of other options. If you are looking to add a piece of machinery to your fleet to perform tasks beyond what you can do now, relying on Caterpillar® is your best bet. Cat is known as the heavy equipment leader of the world, manufacturing dependable, tough, fuel-efficient and high-performing engines to boost your ROI with long-lasting machines for various settings. Sometimes buying a brand-new machine doesn’t make financial sense for your business, so purchasing pre-owned engines from Wheeler Machinery Co. in Salina, Utah, is the perfect option. 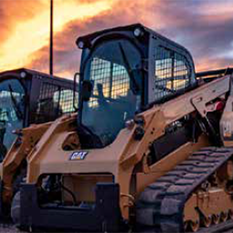 We offer Cat-certified used equipment along with a manufacturer’s warranty, extended coverage, equipment maintenance history and unequaled product support. Our certified technicians complete up to 140 inspection points using modern technology systems and maintain each engine with Genuine Cat parts. Wheeler experts have superior knowledge regarding Cat machines to offer you agricultural equipment, attachments, heavy machinery and power systems. With our full line of mid-sized and smaller Cat equipment along with non-Cat machines, you can increase your productivity no matter the industry. Equipment rental in Salina offers top-quality options when you need it for a specific, one-time project, if another machine is out of service or you want to try the equipment before buying. Benefits of renting from Wheeler include how our trained mechanics maintain each machine and how we provide emergency support. You will have direct access to the accessories, tools and equipment you need. Stopping by our Salina location is always an option when you need parts, but you can also order online 24/7 when you visit Parts.Cat.Com. It’s a simple and convenient way to receive belts, Cat Classic parts, seals and O-rings and retrofits. Having quick access helps when you’re making repairs on your own. Wheeler also has the Cat SIS web, which serves as an online application to give you millions of part numbers, books, service documents and equipment manuals. It keeps everything up-to-date with technical information. We also offer exchange components, dropbox locations, a parts return policy and tracking. We make every effort to keep you competitive and efficient and also offer equipment transport. Our trucks have necessary solutions such as overhead cranes, full tooling, basic diagnostic tools and air compressors. Some have welding operations available. We get any make or model running again to limit your downtime. Wheeler Machinery Co. develops custom solutions to fit your industry as well as a specific job or challenge. By implementing our equipment, parts or services, you can prevent future failures and boost your operation’s efficiency and bottom line. Visit our location on South State St. near Roadway Inn, El Mexicano Restaurant and Taco Time. 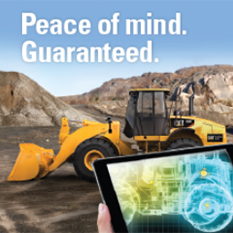 To gain better insight into our products and services, contact us online, call Wheeler at 435-529-7423 or speak with your local sales rep.